Top budget hotels in Rome. Best-value accommodation in central Rome. The best budget hotels in Rome. Best-value accommodation in central Rome. For many tourists, traveling to Europe is scary because of the costs. Even though very popular, a city break to Rome can sound intimidating especially if you are traveling on a shoestring. However, with some careful planning, you can easily organize a trip without breaking your bank. 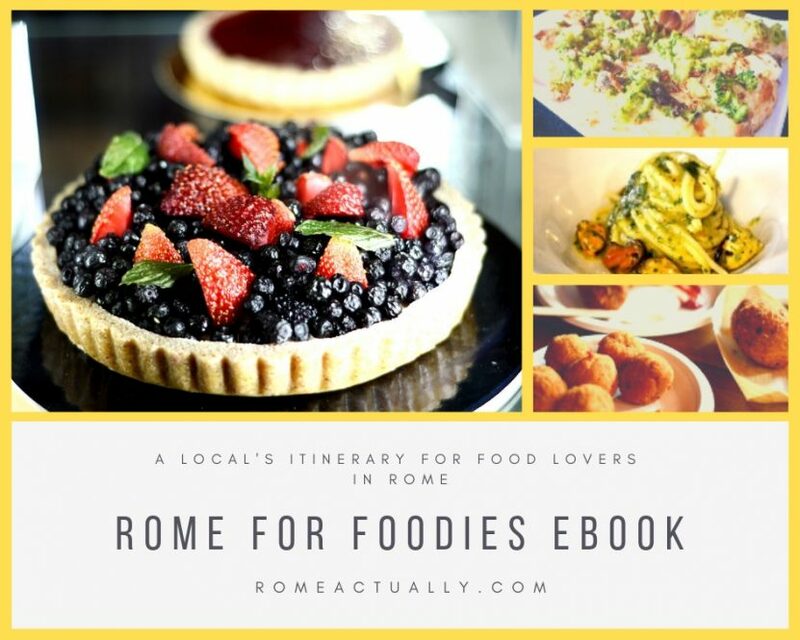 You can find affordable eateries, plenty of free or cheap things to do and for sure a great choice of budget hotels in Rome. Our tips for finding the best accommodation in Rome for your travel needs for an affordable price. In this article you are NOT going to find hostels or very low-cost accommodation in Rome. We reviewed the best-value hotels in the city with affordable rates but without giving up on upscale services and comforts as well as without getting too far from the central landmarks. If you re looking for under 100 euro rooms, check out our review of cheaper hotels in Rome. READ MORE: If you prefer a homestay for your vacation instead, read our reviews of Rome apartments. Located 5 minutes from Piazza Navona and Campo de’ Fiori, Relais Giulia Bed & Breakfast treats its guests with a traditional and elegant decor and the most modern comforts that make it one of the favorite budget hotels in Rome. All soundproof rooms feature free WiFi, air-conditioning/heating, LCD flat-screen TV with satellite channels, a minibar, and a private bathroom with hairdryer and complimentary toiletries. The suite includes also a hydro-massage bathtub. The daily breakfast is served always with fresh and season ingredients picked from local producers and you can start your day with fruits, croissants, cakes, bread, jams, eggs, milk, coffee, tea or juice. In this B&B, along with the Italian, they speak English, French, and Spanish. This is a great location to reach all the main Rome attractions such as Fontana di Trevi, the Coliseum, the Imperial Forums, and the Vatican. Click here for more details and the current prices. Located near the Termini train station and 5 minutes from the Terme di Diocleziano, Residenza Cellini is very close to the metro station, even though from here most of Rome’s landmarks are within walking reach. All rooms are decorated in a classic 19-century style and feature air-conditioning, antiallergic mattresses, electronic safe, a desk, flat-screen TV with satellite channels, a minibar, tea making facilities, and a private bathroom with shower and hairdryer. Suites and double rooms feature a Jacuzzi tub or hydro-jet shower. The hotel includes an outdoor seating area for relaxing and among the services is a 24h reception service and the possibility to request breakfast in the room. The daily Italian breakfast is served buffet-style. Beautiful residence apartment located in the shopping street Via Cola di Rienzo in the lovely Trionfale neighborhood, a stone’s throw away from the Vatican, Residenza Vatican Suite is a perfect choice of boutique budget hotel in Rome that ensures all the comforts without breaking your bank. 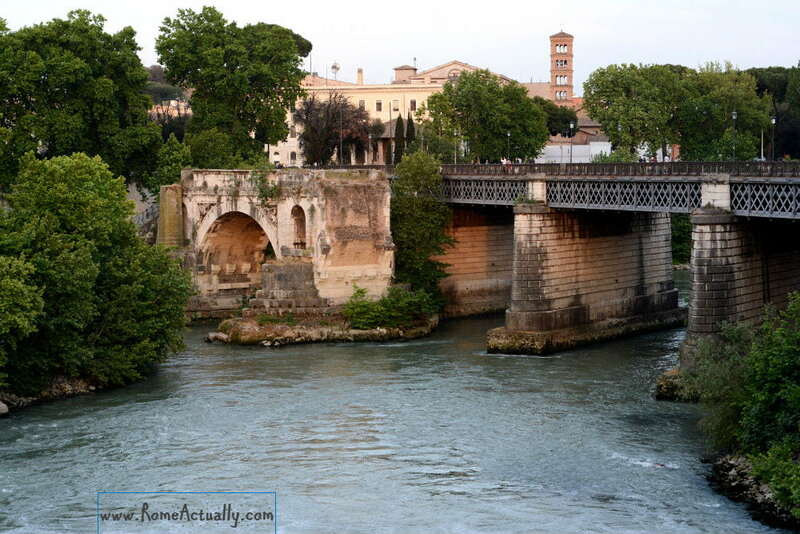 The area is well served by the public transport, even though you can reach most of the main Rome attractions walking. Decorated with a minimalist and elegant decor, each room has different colors, from grey to red to turquoise, and they are all bright and welcoming. Among the facilities of the rooms are a fridge, a kettle, flat-screen TV, safe, soundproof windows, free WiFi, air-conditioning, and bathrooms with large showers and complimentary toiletries. An excellent breakfast of fresh fruits, freshly baked cakes and pastries, bread, toasts, yogurt, coffee, a wide range of teas, ham, and cheese, is served daily. Click here for more details and the current price. Located close to the Vatican City, Inn Urbe Vaticano is a perfect choice for the traveler interested in the historical landmarks of Rome city center. A modern design and a wide range of comforts welcome the guest of this lovely budget hotel in Rome. Each room features free WiFi, a tablet at the disposal of the guests, air-conditioning, Sky TV and an en-suite bathroom. The rooms are located on the third floor of a 20th-century building with a lift and can accommodate up to 4 guests. Among the services is a daily Italian-style breakfast, reception open from 8 am to 1 pm, refreshing hall available all day with complimentary coffee and warm drinks. For families with a baby, the hotel makes available a baby stroller and adds a crib to the room. If you prefer to have the independence of an apartment equipped with all comforts, Tacito Apartments near the Vatican in the Trionfale neighborhood is your best choice. Featuring free WiFi and self-controlled heating or air-conditioning, these apartments can accommodate up to 5 guests. Furnished in a minimalist and modern style, they include a kitchen complete with dishwasher, stove, oven, microwave, kettle and coffee machine, washing machine, a modern private bathroom with shower, hairdryer, towels, and complimentary toiletries, flat-screen TV, writing desk, safe, dining hall. The area is well-served with the public transport and the closest landmarks are the Vatican Museums, St. Peter’s Basilica, the Hadrian Mausoleum, Piazza del Popolo. An exclusive boutique residence, Residenza Torre Colonna is perfect for the travelers who want to pamper themselves with modern comforts in the city center without breaking the bank. Set in a medieval tower dating to 1247 to protect the residence of Colonna noble family, Residenza Torre Colonna is a fascinating interplay of old and new. Here, in fact, state-of-the-art luxury perfectly blends with a precious piece of Roman medieval history, making your stay exclusive and unique. All rooms feature free WiFi, LCD flat-screen TV, Nespresso coffee machine with complimentary coffee and tea, touch-screen computer, writing desk, minibar, and bathroom with either shower or whirlpool bathtub, complimentary toiletries, hairdryer, and bathrobe. A stone’s throw away from landmarks such as Piazza Venezia, the Trevi Fountain, and the Coliseum, this accommodation is ideal for the cultural traveler interested in exploring the history of the city. Traveling to Rome and not sure what to visit? Check out our detailed Rome guide for tips and suggestions. Set in a building dating back to the early 20th century on the bank of the Tiber River, Villa Laetitia has been redecorated by Anna Fendi Venturini, one of the five Fendi sisters. Each room boasts its own style, colors, and character, and most of them include a kitchen equipped with stove and fridge and a terrace. Among the amenities, all rooms feature air-conditioning/heating system, flat-screen TV with pay-per-view, cable and satellite channels, safe, desk, minibar, and the bathroom complete with towels, complimentary toiletries, hairdryer, bathrobe, and slippers. WiFi coverage is present in the whole building. The hotel features also a Michelin-starred restaurant, Enoteca La Torre, that serves fine cuisine in a blend of tradition and innovation strictly using fresh and seasonal produce. Its wine list is one of the most appreciated in the city. For a relaxing afternoon, guests can enjoy a drink in the Piccolo Bar of the hotel. Major Rome attractions are within walking reach and the area is well-connected via public transport, the nearest metro station to this budget hotel in Rome is Lepanto, line A. Located in the exclusive Aventino area, the guests of Hotel San Anselmo enjoy a charming combination of modern and tradition in one of the best budget hotels in Rome. The hotel, standing on Piazza di Sant’Anselmo in front of the namesake church, is a private villa turned into a beautiful accommodation resort in the 1960s. All rooms feature free WiFi, air-conditioning, LCD TV with satellite channels, minibar, safe, telephone, and soundproof windows. Beautiful marble bathrooms with shower or bathtub, complimentary toiletries, and hairdryer complete the luxurious treat. The Deluxe Rooms feature a bathroom with Jacuzzi bathtub. Among the hotel’s facilities are a daily buffet-style breakfast, breakfast in the room with no extra charge, 24h front desk, bar and room service from 7 am to midnight, laundry service, tours with private guide, wedding planning, babysitting, booking of car and scooter rentals, booking of restaurants and museums, and Shiatsu massage upon request. Booking a stay at Hotel San Anselmo is the first step to an exclusive Roman holiday. Your resort will be close to the Coliseum, the Mouth of Truth and the Aventine Keyhole with a view of St. Peter’s Dome. Stylish and elegant residence in the Trionfale neighborhood, Le Stanze di Orazio treats its guests with comforts of a luxury hotel yet retaining much of the character and independence of a private home. With the services of a luxury boutique hotel that won’t make you break your bank, Le Stanze di Orazio accommodation features rooms with free WiFi, TV with channels in HD, kettle/coffee machine, slippers, hypoallergenic bed linen, mattress, and pillows, and bathrooms with bathtub or shower with massage jets and fiber optic lighting by chromotherapy in the Deluxe rooms, hairdryer, and a refined courtesy set. Upon request, the hotel also arranges the Roma Pass for its guests, a Picnic Basket for Villa Borghese, and luggage storage and transport on your last day in the city. Very close to the Vatican, the nearest metro station is Lepanto and it’s within walking distance from the Hadrian Mausoleum and other major attraction in the city center. Located in the green Celio neighborhood a short stroll from the Coliseum, the Roman Forum and the Baths of Caracalla, Hotel Lancelot is a charming budget hotel in Rome. Among the rooms’ facilities are a private en-suite bathroom, hairdryer, air-conditioning, safe, WiFi, satellite TV. Some rooms enjoy a terrace or balcony. A rich breakfast buffet-style is served from 7 to 10 am and consists of cereals, jam, butter, cheese, croissants, fruits, bread, juices, coffee, tea. The hotel also features a restaurant serving Mediterranean cuisine for dinner, while for some relaxing time guests can enjoy a drink at the bar or at the outdoor patio. Some of the services of the hotel include 24h front desk, luggage storage, laundry service, reservation of theater, museums, restaurants, and taxi, the sale of metro and bus tickets. Located in the exclusive location of Via dei Coronari right behind Piazza Navona, Relais Palazzo Taverna is set in a 15th-century palace. Rooms are decorated with a modern design surrounded by traditional architectural style and feature modern amenities such as air-conditioning, flat-screen TV with satellite channels, safe, minibar, fridge, tea and coffee-making facilities, telephone, free WiFi, hairdryer, free courtesy set. Small-size pets are welcome. Even though the building doesn’t have a lift, Relais Palazzo Taverna is still one of the favorite budget hotels in Rome. Set in the trendy Trionfale neighborhood, Rome Armony Suites lies between the Vatican City and the shopping street Via Cola di Rienzo. This budget accommodation combines modern services and amenities for great prices. Among the services guests of Rome Armony Suites enjoy are a 24h reception, free WiFi connection, and a central location. The soundproof rooms feature LCD flat-screen TV, safe, private bathroom with free toiletries, towels, and hairdryer, air-conditioning, telephone, desk, kettle/coffee machine, and minibar. An excellent breakfast Italian-style is served daily. The location is hard to beat as well-connected via public transport, many landmarks are within walking reach, and yet in the evening tranquil and trendy with nice restaurants and pubs. Click here for more details and current prices. Located in the very city center at less than 300 meters from the Coliseum, Hotel Celio is your perfect budget accommodation in Rome if you want to save but still pamper yourself with a pleasant stay. A fine decoration with mosaic floors and Renaissance-style frescoes welcome guests in a traditional building while enjoying modern facilities. The soundproof rooms feature large beds, a private bathroom with hairdryer and complimentary toiletries, satellite and cable TV, telephone, minibar, safe, and air-conditioning. Superior rooms on the upper floor also have a Jacuzzi bathtub, as well as the Ambassador Suite on the first floor and the Pompeian Suite Penthouse that also feature Bang & Olufsen TV. A daily continental breakfast is included. The hotel also has a beauty center and offers a treatment of choice between radiofrequency and electroporator to guests who book a stay of minimum 3 days. A lovely 3-star accommodation, Hotel Santa Maria is one of the favorite budget hotels in Rome. Located in Trastevere, a famous and trendy central neighborhood, this hotel features spacious rooms painted in soothing pastel colors and a tranquil garden. Among our choices, this is the pricier hotel. Its price is due to the exclusive and very touristy location as well as the comforts and services provided. Which is what makes it one of the best-value hotels in Trastevere. The rooms are furnished with oak wood and terracotta floor tiles and equipped with modern amenities such as digital safety deposit box, tea and coffee making facilities, minibar, air conditioning, LCD satellite TV. The bathrooms feature a shower and a bathtub, complimentary toiletries, and a hairdryer. In this affordable Rome hotel, you can also book a suite that can sleep from 4 to 6 people, so perfect for families. Some of the suites are on two levels, some feature a sitting area, and all are decorated with a minimalist and elegant style. Among the services are a daily breakfast, free WiFi, and free bicycles. Guests can also relax in the common areas of the rooftop garden and the hotel bar and lounge. –>> If you would rather pamper yourself with the highest-quality of luxury and state-of-the-art comforts, check out our selection of top five-star hotels in Rome.